Vancouver, B.C. 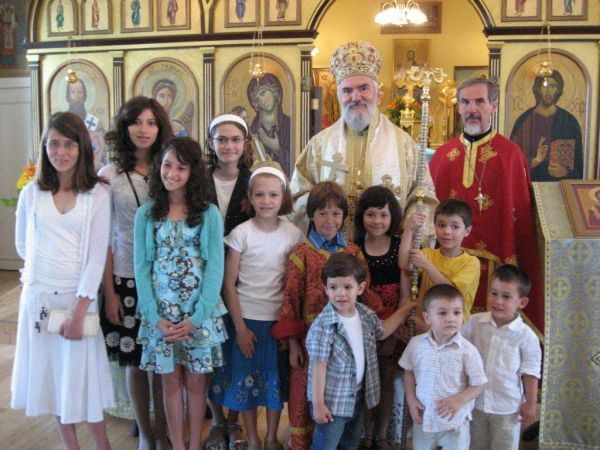 - His Grace Bishop Georgije of Canada visited the St. Sava Serbian Orthodox Church in Vancouver on July 18, 2010. On the previous day His Grace, the bishop, visited the St. Archangel Michael Serbian Orthodox Church in Burnaby where a formal banquet was held in his honor following the evening Vesper service. As in previous years the bishop was warmly welcomed at the St. Sava Serbian Orthodox Church by the honorable Serbian people. His Grace Bishop Georgije first served the Holy Hierarchical Divine Liturgy, at which he was assisted by Protojerej-stavrophor Miroslav Dejanov and Fr. Milos Puric. The Stevan Mokranjac church choir sang the responses, directed by Nenad Ivanovic. Many children took communion at the Divine Liturgy. Following the Holy Hierarchical Divine Liturgy Bishop Georgije served a parastos in memory of General Dragoljub Mihailovic, mentioning also Patriarchs of blessed repose Pavle and German, as well as Bishop Sava (Vukovic) who consecrated the St. Sava church in Vancouver. 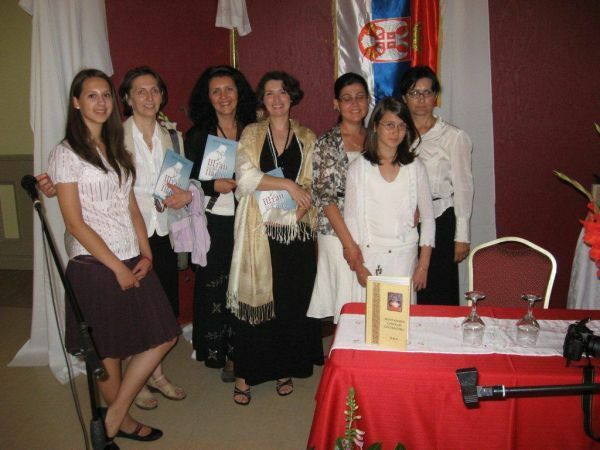 The wheat and bread for the parastos was prepared by the sisters of the St. Petka Kolo Sestara, Jelena Denin-Djurdjevic and Njegoslava Maljevic. After the service a program and picnic was held in honor of the bishop's visit. Following the prayer and the blessing of the food the St. Bishop Nikolaj Orthodox group greeted the bishop with a few poems dedicated to Kosovo. Dejan Varajic, president of the church-school congregation, greeted the bishop, wishing him a warm welcome. He also greeted all the faithful and spoke of the work and life of this church school congregation. Afterward, Bishop Georgije, in his remarks, emphasized the virtues of forgiveness, repentance and love which should adorn every Orthodox Christian. The faithful were then addressed by Fr. Milos Puric who introduced the guests from Belgrade, the poet Mirjana Bulatovic who promoted two new Istochnik publications: The Staff of Patriarch Pavle and Anthology of Serbian Poetry II. The distinguished guest, His Eminence, the honored Serbian consul, Mr. Predrag Vladikovic, also greeted His Grace the bishop and all the faithful and heartened them with his report that he submitted a request to the Canadian Parliament for the repeal of visas for Serbian citizens. This request is being considered and His Eminence is optimistic and determined to endure to the end of the solution of this issue. At the very end of the program the faithful, with a prayer and song, bid farewell to His Grace.